Well I would say this is the best of all my mixes. OMFG!!! )@U#)@(URE#)WJFD)AEFJ)ADSM this is soooooooooooooooooooooooooooooooooooooooooooooooooooooooooooooooooooooooooooooooooooooooooooooooo friggen good. 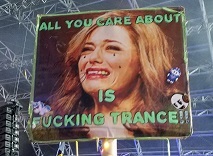 not even funny.... iv never felt like this about some non-vocal trance in my life PLZ tell me this will be available for download... **** amazing. so amazing that no happy face icon would explain. Edit: oops i feel stupid.. didnt see the Download link b4, cuz i was soo exited about hearing the mix. badass mix man.. definitely a favorite..
Mik, your trancestalgia rythmic reminiscence vol 2 is an awesome mix !! And SUPER you have a D/L link. Thanks and download it! Burn it to cd! Give it to your friends! Your dog! Your mail man! I've download them both now and I'm listening to your Vocal Reminiscence vol 1 now. Just the vocal trance I like very much ! You've said your Rythmic is your best mix ever..., but this one is awesome too. I want to burn it and I like to complete it with a cover. Did you speak with Shumba allready. His artwork is great. Or do you have covers yourself, like DJ Moo ? Very good mix, I couldn't resist not to post. Keep it up!